The mother of one of the Viola Beach band members, Kris Leonard, talks to local Liverpool Radio Station Radio City. All four band members ofViola Beach and their manager was killed last weekend when their hired motor vehicle fell off a bridge in Sweden and landed in a canal. A fan-led campaign has made Viola Beach’s song ‘Swings and Waterslides‘ reached Number 1 on iTunes. 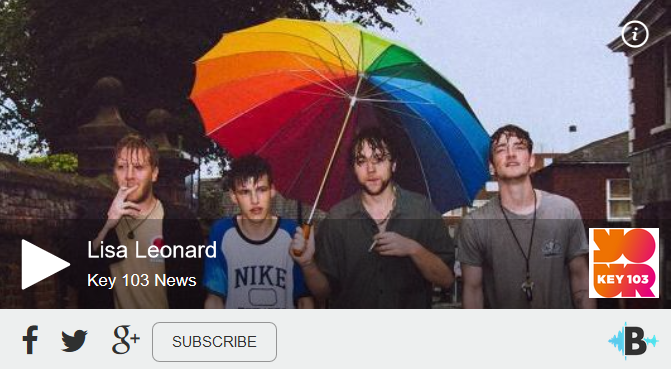 Please click on the Viola Beach link sound bite below which will transfer you to the Radio City website to hear interview. The accident took place in Sodertalje, 18 miles from the capital Stockholm after the group had just performed their first gig outside the UK. They had been due to play a homecoming gig at Warrington’s Pyramid on March 12th. The mother of guitarist and singer Kris Leonard has been speaking to Radio City.